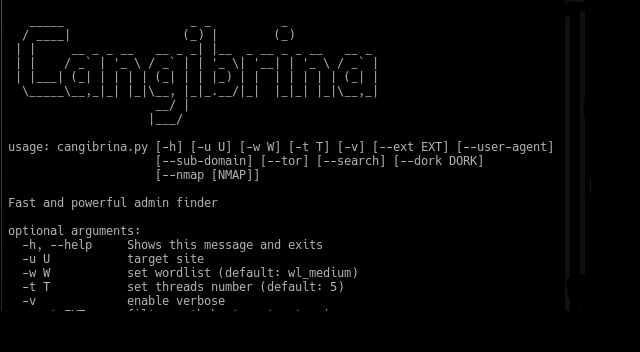 Cangibrina is a Python-based multi platform admin dashboard finder tool which aims to obtain the location of website dashboards by using brute-force, wordlists, Google, Nmap and robots.txt. It is multi-threaded, supports modifying your user agent, using a TOR proxy, custom dorks, Nmap integration and can use both DuckDuckGo and Google. There are other specific tools in this area like WPScan for WordPress and DruPwn for Drupal – and in those cases the dashboard URLs are already known.